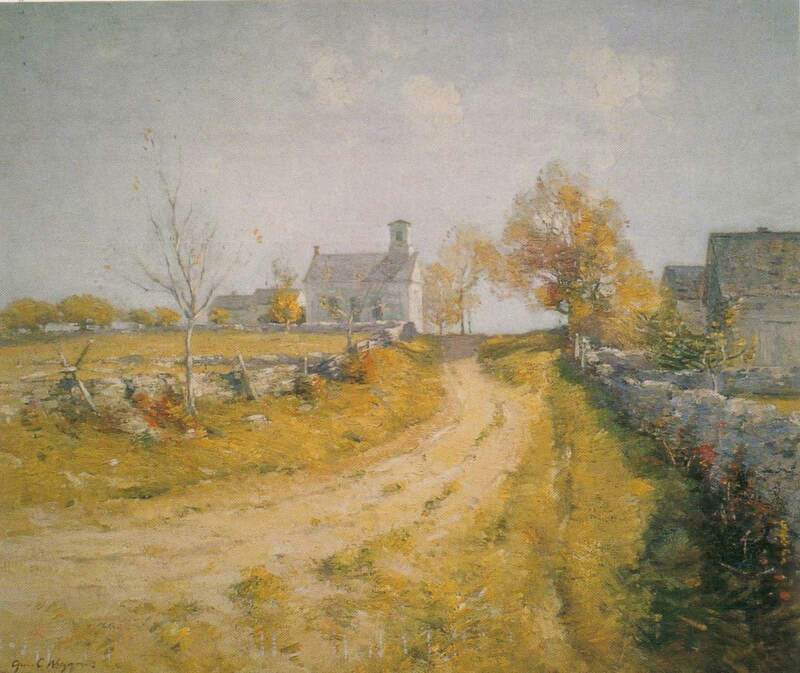 In the first decade of the 20th century when Ellen Axson Wilson summered in Old Lyme, eight white churches dotted the landscape. Together they expressed the beliefs and responded to the needs of a rapidly changing community. The Grassy Hill Church, completed in 1812, succeeded a Separatist church built some sixty years earlier, perhaps on Blood Street, during the revivalist movement known as the Great Awakening. 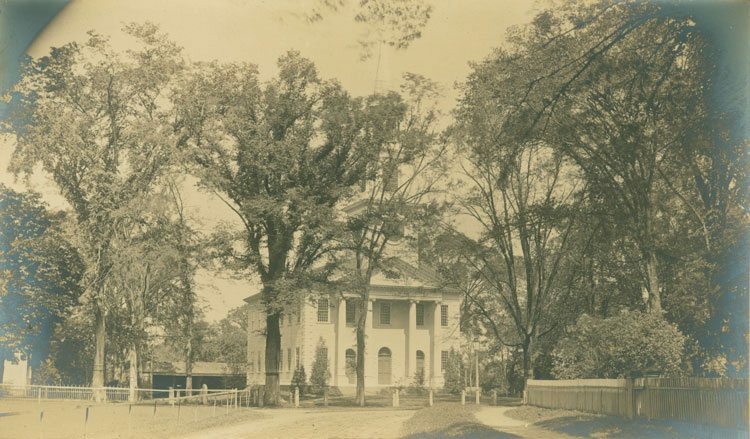 The first pastor in the new location, Elder Seth Lee, began preaching in 1808 when “the meeting-house was partly built on Grassy Hill, and occupied in its unfinished state, with only temporary seats and a workbench for pulpit.” Those who attended “the Strict Congregational meeting at grassy Hill” publicly withdrew from all connection with Lyme’s First Ecclesiastical Society. As religious sentiments moderated, the Grassy Hill Church drew an increasingly diverse but gradually shrinking congregation. By the 1920s a decline in membership limited services to the summer months, and from 1924 to 1932 the church closed its doors. 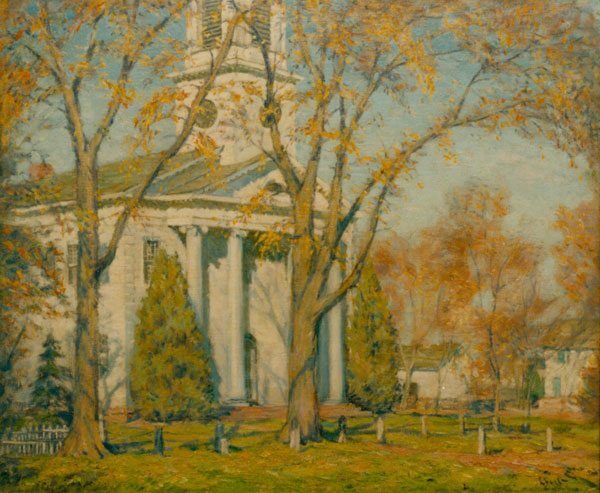 When artist Clark Voorhees’ granddaughter was baptized there in 1946, the church had reopened for regular weekly summer worship. 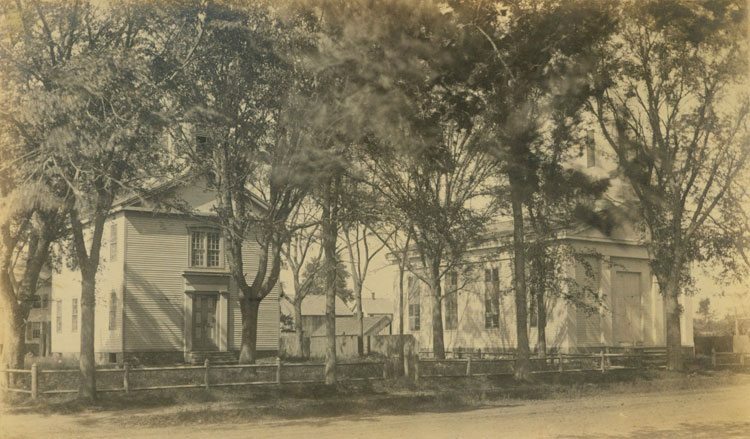 The Lyme Congregational Church, built on a hill overlooking Hamburg Cove in 1814, replaced an earlier Meetinghouse constructed for residents of Lyme’s Third Ecclesiastical Society in 1728. 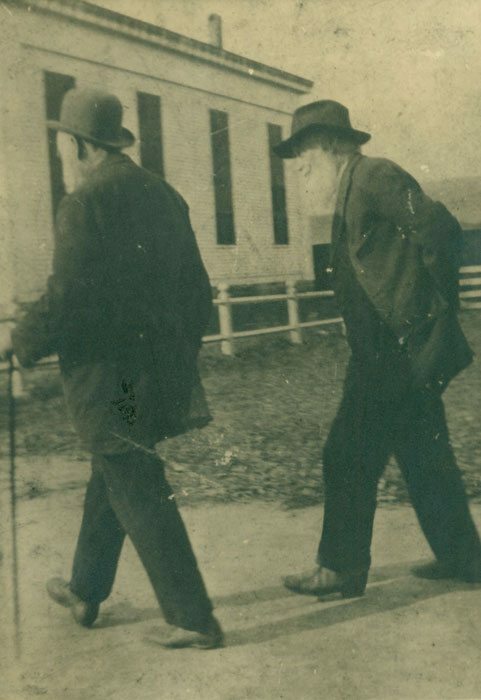 “Not one stone remains upon another,” according to an address by Judge William Marvin, to mark the site of the earlier North Lyme church, which stood not far away on the highest hill along the road leading north to Hadlyme and East Haddam. Extensively remodeled in 1848, the church in Hamburg provided space not only for Sunday worship but also for prayer meetings, suppers, socials, and traveling entertainments. It was also the site of town meetings and after 1913 housed the town library. Church membership swelled to 134 in 1873, but the number dropped to 69 in 1926. Today the congregation remains active even as attendance declines. 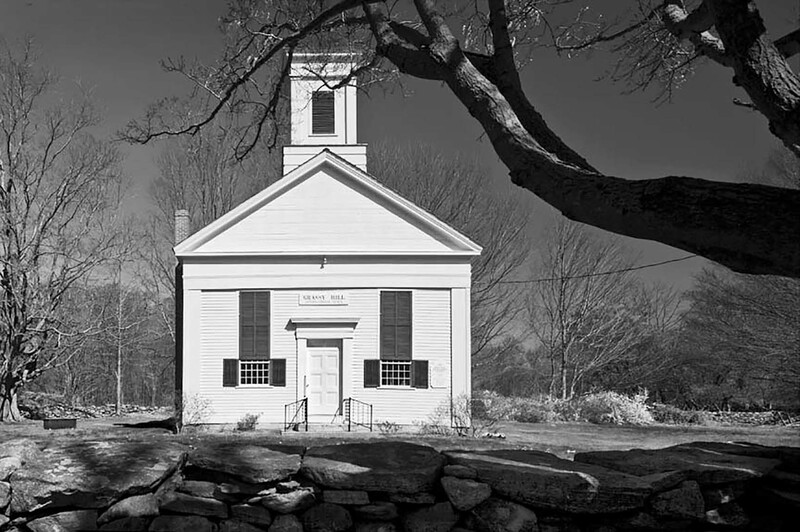 The Old Lyme Congregational Churchtraces its origins to the town’s first house of worship built in 1665 on Meetinghouse Hill. 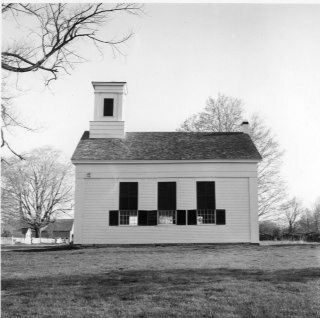 After a fire caused by a lightning strike in 1815 destroyed the third church structure to sit “on the brow of the hill,” a committee tasked with rebuilding located the fourth Meetinghouse at the junction of the two most traveled village roads. The stately new church designed by Samuel Belcher opened in 1817 and dominated the town’s religious landscape for almost a century. Beloved by residents and visitors, artists and photographers, the fourth Meetinghouse burned to the ground in 1907. Three years later Woodrow Wilson, then president of Princeton University, delivered an address titled “The Country Church” at a solemn but celebratory dedication service for the present fifth Meetinghouse. 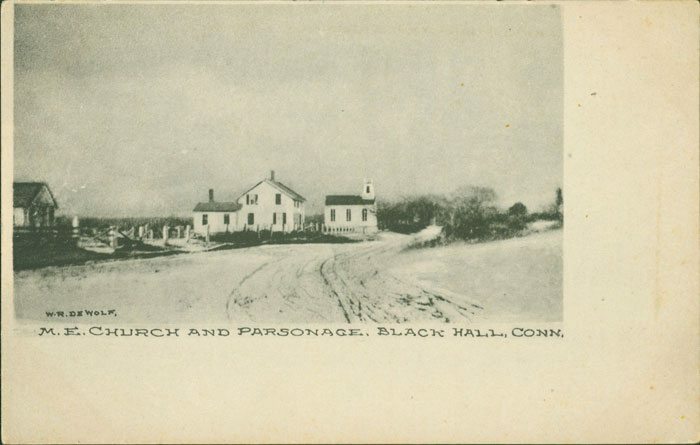 The Baptist Church opened for worship on the main street of the village in 1843 with seventy members, forty of whom had been “received by baptism and thirty by letter.” An organizational meeting held in the Brick Store the previous year had established public recognition for a community of believers that gathered intermittently, often in private homes, for more than a century. Declining membership caused the Baptist Society to disband in 1923, and three years later the Episcopal Society purchased and redecorated the church building. The Roman Catholic diocese subsequently leased the century-old house of worship in 1934, dedicating it in 1937 as Christ the King Church. Today the historic building is a private home. 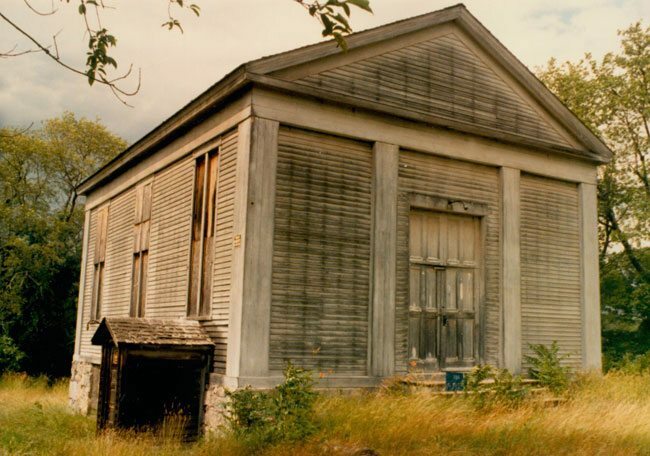 The church on Mile Creek Road celebrated its 100th anniversary in 1943 with special music and commemorative speeches, but a decade later shrinking attendance closed its doors. An inspection of the unoccupied building in 1955 noted its broken windows, sagging ceiling, and collapsing roof. The property sold three years later, and today the Methodist Church is a private home. 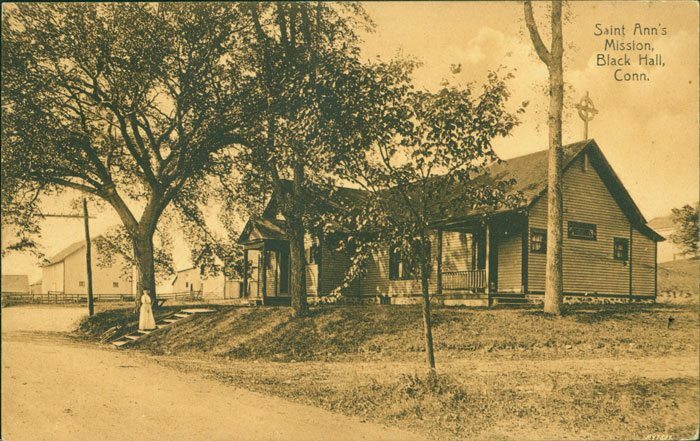 Before World War I a circuit-riding missionary led services in the Guild House for a small number of worshippers, but the congregation grew rapidly in the post-war years. 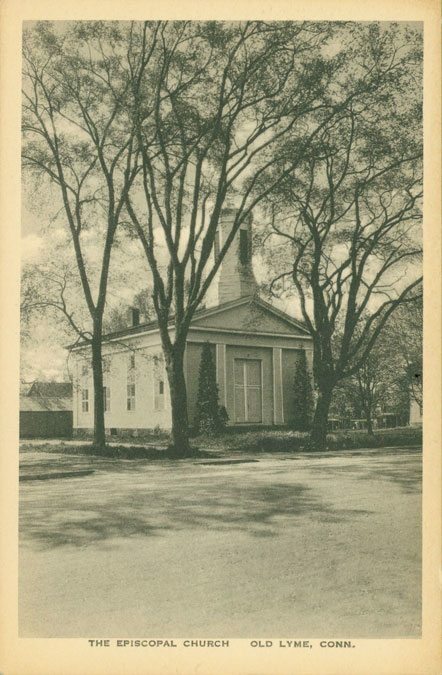 In 1926 the Episcopal Society purchased and reopened the former Baptist Church on Lyme Street, but a shrinking congregation during the Depression years could not afford the cost of maintenance. 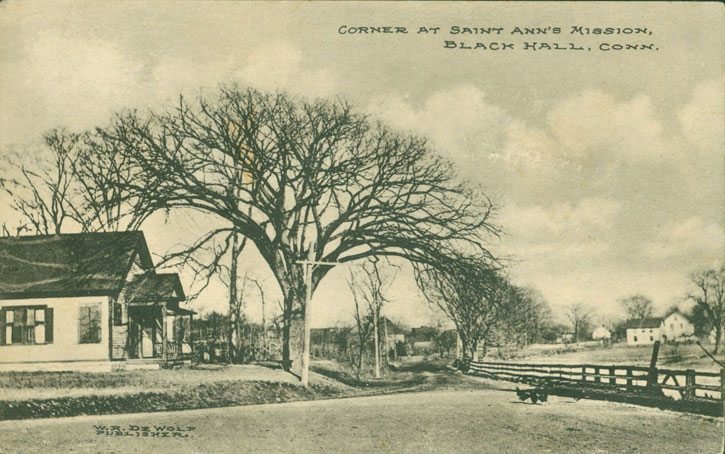 Services returned to the Guild House in 1934 and continued there until the new St. Ann’s Church was dedicated in 1956. Today the Guild House is a thrift store called the Nearly New Shop that supports the work of the church. 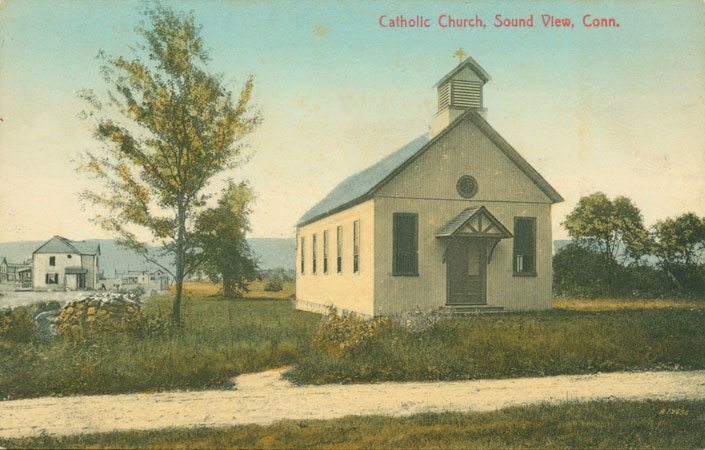 The South Lyme Union Chapel on Mile Creek Road was dedicated on April 9, 1900, at 3 o’clock p.m. 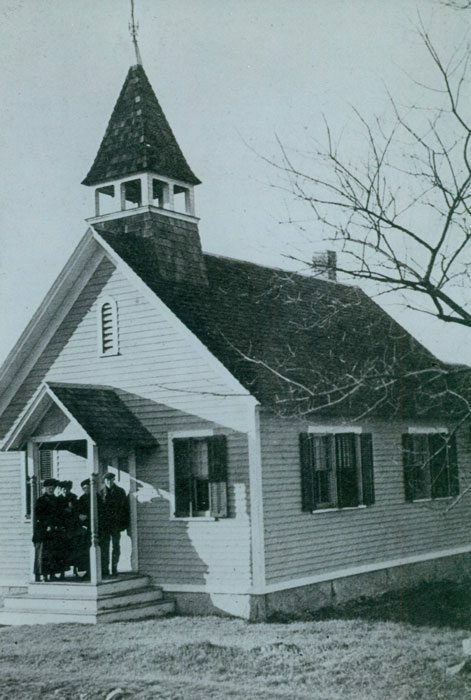 The decision to construct a neighborhood chapel followed the steady growth of a Sunday School that had opened in the nearby South Lyme district schoolhouse in 1884. Rev. W. Dixon Hoag, minister at the First Congregational Church, preached weekly at the chapel for half a century until his death in 1976, and his wife Harriet Hoag often played the organ. In 1960 an expanding Sunday School required an addition to the building, but in the1980s the chapel membership declined. A formal agreement with the “big church” led to the appointment of a permanent chapel minister, and today Rev. Cynthia Willauer serves a small but devoted congregation. 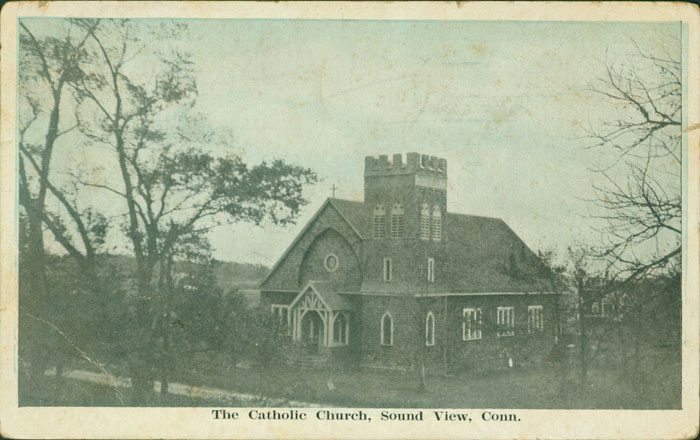 Our Lady of Good Counsel Chapel opened in 1906 to serve Old Lyme’s growing population of summer residents, many of whom were devout Catholics. The parcel of land on Shore Road, donated by P. J. Breen through his Sound View Land Company, adjoined open fields stretching to Long Island Sound. Five years later the congregation had outgrown its original white chapel, and the building was removed and converted into two summer cottages nearby. It was replaced by a larger chapel, shingled in cedar, that served the beach community until 2005. To the dismay of beach-area residents, the Sound View chapel was sold to pay down the mortgage on a new Christ the King Church parish complex at the foot of Lyme Street. Today the chapel houses the Shoreline Christian Church, which organized in 2003 in its pastor’s home in Old Saybrook. 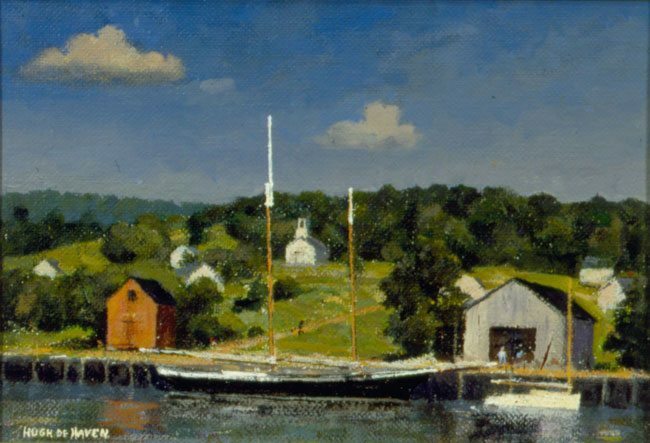 Old Lyme continued to be called “Lyme” long after the two towns separated in 1855. 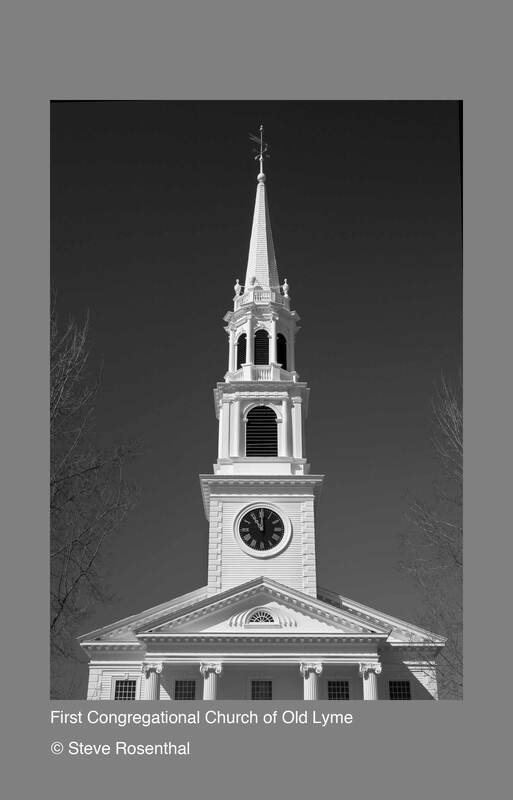 The most comprehensive history of Lyme churches is Susan Hollingsworth Ely, et al, History of the First Congregational Church of Old Lyme, Connecticut, 1665–1993 (Old Lyme, 1995), which includes a section on “Other Congregations.” Thanks to Carolyn Bacdayan, archivist at the Lyme Public Hall, for generous assistance. Pledge statements and other records of the Grassy Hill Church are held at the Lyme Public Hall. 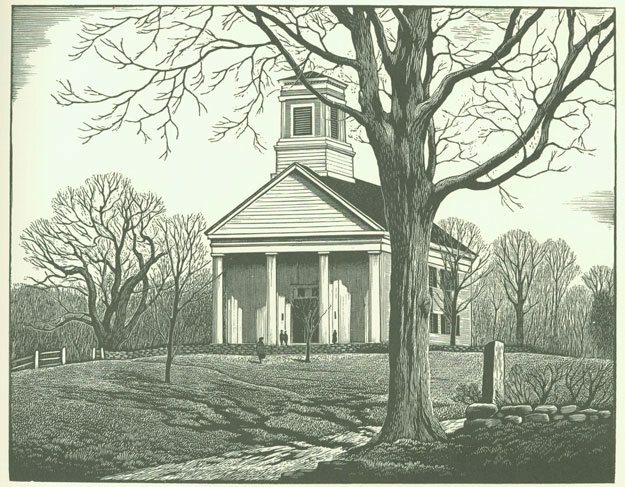 See Bruce P. Stark, “Address on the 250th Anniversary of the Founding of the Grassy Hill Congregational Church,” November 24, 1966; “A Brief History of the Grassy Hill Congregational Church in the Town of Lyme.” Also see Hiram P. Maxim II, Lyme Heritage News (Deep River, 2007), pp. 4–5; D. Hamilton Hurd, History of New London County (Philadelphia, 1882), p. 540; The Gazette, July 21, 1977, p. 21. William Marvin, “Historical Address,” 1926 (reprinted 1976); Hurd, p. 540; Maxim, pp. 23, 83; “Hamburg Church Grows Old Gracefully,” The Hartford Courant, August 13, 1939; “Congregational Church to Celebrate 250 Years,” The Gazette, November 18, 1976. The Deep River New Era July 30, 1926; October 12, 1934. Methodist Church papers, Organizations, Box 1, LHSA; The Deep River New Era, July 2, 1943. George Thorpe, St. Ann’s: A Saga (Old Lyme, 1976); Rev. Nigel Lyon Andrews, Rector, “A Short History of St. Ann’s Church,” 1960; Allison Mitchell, “The Nearly New Shop: Fifty Years of Faith, Fellowship, and Fashion” (Old Lyme, 2006). 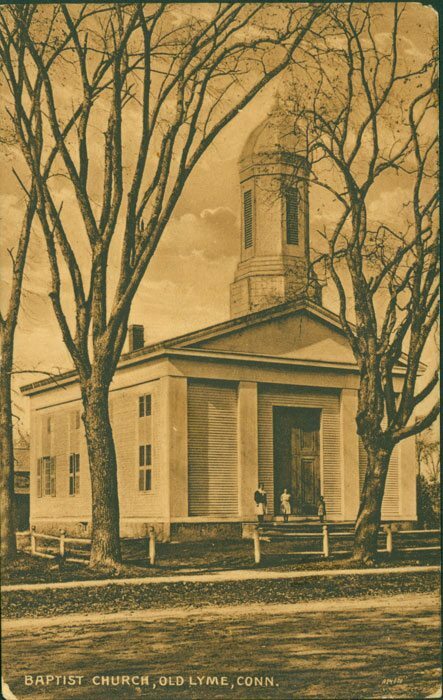 David Howard Littlefield, A History of the Union Chapel and Environs at South Lyme and Little Boston, Connecticut, Published on the Occasion of the 100th Anniversary of the South Lyme Union Chapel, 1900–2000 (Old Lyme, 2000).